Molly Ladd-Taylor's "Fixing the Poor"
Molly Ladd-Taylor is a professor of history at York University. She is the author of Mother-Work: Women, Child Welfare, and the State, 1890–1930 and the coeditor of "Bad" Mothers: The Politics of Blame in Twentieth-Century America. 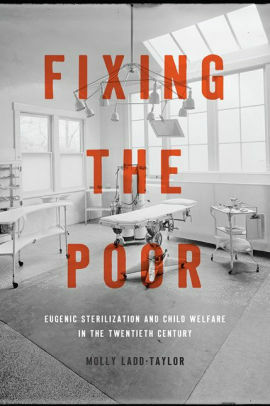 Page 99 of Fixing the Poor asks “who was feebleminded” and targeted for sterilization. To many readers, the answer might seem obvious: anyone who was black, immigrant, poor, unchaste, criminal, disabled, or mentally ill. But that explanation is obviously incomplete: most people from these groups were never sterilized. My book offers a different perspective by moving beyond the usual emphasis on eugenic ideas and analyzing the everyday administration of sterilization policy. My focus is Minnesota, where 2,350 citizens—eighty percent of them designated “feebleminded”--were sterilized under a eugenics law enacted in 1925. Learn more about Fixing the Poor at the Johns Hopkins University Press website. Queeny Pradhan's "Empire in the Hills"
Queeny Pradhan is a professor of history at the University School of Law and Legal Studies, Guru Gobind Singh Indraprastha University, New Delhi, India. She was awarded the Nehru Memorial Fund Scholarship for doctoral research in 1996 and was a fellow at the Indian Institute of Advanced Study, Shimla, from 2010 to 2012. Page 99 of my book has the notes to Chapter 3 ‘Acquiring the Station’ and it gives a diverse range of archival sources and references used with regard to the hill station of Mount Abu in Rajasthan: Abu Municipal Records, Raghunath Temple Records, Records from Sirohi State Archives, Foreign (Political) Department and Home (Public) Department Records at the National Archives of India. This is representative of the entire book where a large variety of historical sources have been used – temple records, tombstones, school records, church records, district collectorate records oral accounts, travel writings, maps, old photos etc. It contributes towards Historical Method. Page 99 is also representative of one central theme of the book – the contestation of space. An impression that was projected in the descriptions of hill stations of Simla, Darjeeling, Ootacamund and Mount Abu is that these were empty spaces ‘discovered’ by the European or English officers. 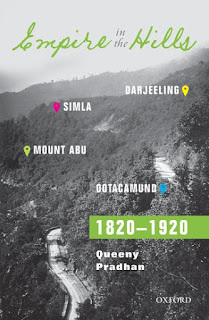 The references on page 99, as also the discussions in the book, argue that these hill stations were not empty landscapes but replete with human and historical experiences of the local inhabitants. These hill stations were acquired after much negotiation with the local rulers and chiefs and treaty agreements were drawn up. The local hill people have their own presence and this can be traced in their mythical and origin stories. The place-names indicate their sense of history. There were attempts at the erasures of previous histories by the nineteenth century English settlers. At the same time, the book does not construct binaries of the colonizers and the colonized. It argues that there existed multiple visions, aspirations, and imaginations within the rulers and the ruled and they were not homogenous categories. European and Indians also are not considered as the homogenous categories. The Empire in the Hills examines the unexplored linkages between Empire, Space, and Culture in the specific context of the colonial hill stations in India. In the Victorian period largely and in the context of the Tropical Empire, the hill stations as spaces and a part of place-making contribute to new knowledge and information about the establishment of the empire in India in the nineteenth and twentieth century, moving beyond the stark urban-rural divide to look into other spatial developments that have been taking place simultaneously. It looks into the themes of spatiality and representation, spaces and landscapes, and reproduction of social and cultural spaces. Learn more about Empire in the Hills at the Oxford University Press website. Henry McGhie's "Henry Dresser and Victorian Ornithology"
Henry A. McGhie is the Head of Collections and Curator of Zoology at Manchester Museum, the University of Manchester. The instigator of the History of the Birds of Europe was Richard Sharpe, who, early in 1870, proposed to Dresser that they go into partnership to produce a great encyclopaedia on the birds of Europe. The project required access to the very best specimen collections and libraries, whether in museums or private hands, as they were the most basic source of information on what species occurred where. New collections would also need to be acquired from explorers and other collectors. Sharpe had neither the opportunity nor the financial ability to produce such a collection, so he needed a ‘collecting partner’ if he hoped to produce his encyclopaedia. Dresser fitted the bill perfectly: he owned a good collection of European birds and their eggs; he could acquire more good specimens from his contacts and access the collections of other BOU members, and he could make sense of the literature on birds published in other European languages. Just as importantly, he was ambitious and able enough to take on the project. Sharpe and Dresser intended the book to cover the latest stage of knowledge of the species that were found in Europe. The two partners had plenty to do: the last significant book on the subject in English had been John Gould’s The Birds of Europe, published in five volumes during 1832–37 (his The Birds of Great Britain, 1862–73, covered many of the same species, but did not review the wider literature). Charles Bree’s A History of the Birds of Europe, Not Observed in the British Isles, issued over 1859–67, was an inferior work. These books represented the ‘competition’. Information on European birds was scattered among books and journals in different languages, in the unpublished notes of colonialists and travellers, and on the labels attached to the legs of bird specimens. Information was of variable quality and reliability, and many species were as good as unknown. Large quantities of information had been generated about birds, in Europe and elsewhere, which meant that an authoritative ornithology on European birds was much needed. 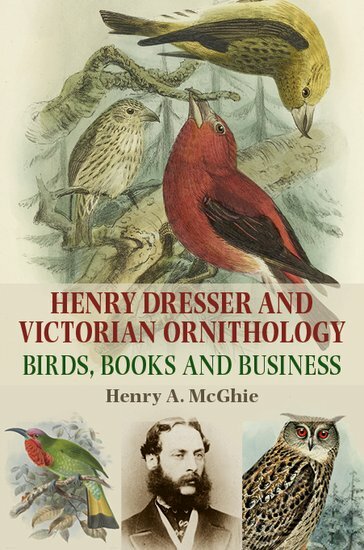 Henry Dresser and Victorian ornithology: birds, books and business is an exploration of the life of Henry Dresser, one of the leading, and most productive, ornithologists of the 19th and early 20th centuries. The book is more than just his story, but is an exploration of science and ornithology when the world was opening up (and being opened up) by travel and exploration, and when wealthy and ambitious private individuals (‘amateurs’) led natural history society, in the absence of professions and institutions. Dresser produced enormous bird books, by private subscription, that were a combination of the very latest scientific information and masterpieces of bird illustration by the most famous scientific illustrators of the day. The ‘page 99 test’ posits that page 99 should give a good idea of the overall standard of a book. In the case of this book, page 99 is unusually well-placed to set out the entirety of the book. The reason for this is that the History of the Birds of Europe, described on page 99, was Dresser’s magnum opus and most famous work. The book was both a bringing together of various strings of Dresser’s bow, and his biggest adventure. If we take a ‘hero’s journey’ approach, the work on the History of the Birds of Europe was Dresser’s quest. The scientific work that resulted from it, presented in his great books, was the treasure that he brought back for science, as a lasting legacy and basis from which further scientific work could proceed; the book, and the collections it was based on continue to provide scientists with a wealth of information on birds and their distribution. Page 99 explains how Dresser – ambitious, able and wealthy, and fascinated by birds – put his full energy behind the History of the Birds of Europe project. This brought him in contact with an incredibly diverse set of travellers, scientists, museum workers, and also country people, farmers, gamekeepers, lighthouse keepers, whalers, missionaries and many more. Dresser gathered their personal experiences and bird specimens and worked them together to produce a standard, globalized set of information on the birds of Europe, and their distribution in other parts of the world, in remote Central Asia, in China and Japan, India, Africa and North America. Quite an adventure, which forms an important part of Henry Dresser and Victorian ornithology. Learn more about Henry Dresser and Victorian Ornithology at the publisher's website. Barbara Sjoholm is a writer of memoir, mysteries, fiction, and travel books, and an editor of anthologies and nonfiction. Emilie’s and Turi’s correspondence, however, provides hints of a deeper level of feeling between them, however masked in Emilie’s correspondence to her family. In a letter written at the end of August, Emilie quotes Turi as telling her, “I can’t seem to catch the Danish silver fox,” which she rather disingenuously describes as “proof of the Lapps’ image-rich language.” In reality, the reference to Emilie as a fox that was hard to capture was part of Turi’s ongoing but unsuccessful courtship. In the next few years he would often refer to Emilie as the Black Fox that the Old Wolf could not seem to catch. The black or silver fox is a melanotic variant of the red fox of northern Europe; Turi may have been referring to the color of Emilie’s hair or her quickness or simply her elusiveness. One lamp-lit day in December, 2001, up in the far northern city of Alta in Norway, a Norwegian writer I know told me a story. In 1904 a Danish woman artist, Emilie Demant Hatt, had visited Lapland and encountered a Sami wolf-hunter, Johan Turi on a train. Later she inspired and helped this man write a book—Muitalus sámiid birra (An Account of the Sami), published in a Danish-Sami edition in 1910 and now considered the first classic of Sami literature. Demant Hatt also wrote her own travel narrative, With the Lapps in the High Mountains (1913). I immediately had questions, but for a long time, few answers. Who was this artist and ethnographer, Emilie Demant Hatt? How did she end up in Lapland, or Sápmi, as the region is now called? What kind of artist was she? 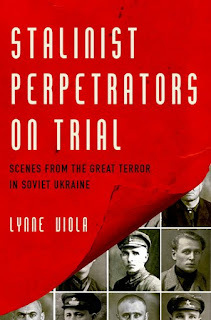 Why was so little known about her, except that she edited and translated Johan Turi’s book? And what was her relationship with Johan Turi? 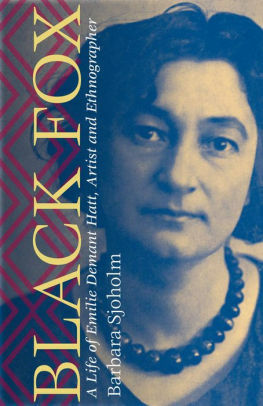 It took over a dozen years for me first to translate With the Lapps into English and do all the required archival research in Scandinavia for my recent biography of Emilie Demant Hatt, Black Fox. Along the way I published a travelogue of my own, The Palace of the Snow Queen: Winter Travels in Lapland, and a pair of novels about Demant Hatt’s once-secret adolescent romantic relationship with Carl Nielsen, Denmark’s best-known composer. I learned a great deal about Sami history and culture in the twentieth century and about Demant Hatt’s unique place in anthropology and folklore, as a participant observer in the tents of many nomadic Sami families in northern Sweden. Her letters revealed the many conflicts and warm feelings between her and Johan Turi, and debunked many of the myths that had grown up around their working and personal relationship. Learn more about Black Fox at the Emilie Demant Hatt website. Edwin Moïse's "The Myths of Tet"
Edwin Moïse is professor of history at Clemson University. He is a historian of the Vietnam War, and of modern Vietnam and modern China. Page 99 could function as a useful introduction to the book, but does not make possible a judgment as to the quality of my argument. The page consists entirely of a list of examples of the way US officials and senior military officers, late in 1967, were claiming that the United States was winning the war in Vietnam, and that enemy forces were weakening. These claims were a big part of the reason the Tet Offensive, a few months later, came as such a shock to the United States. 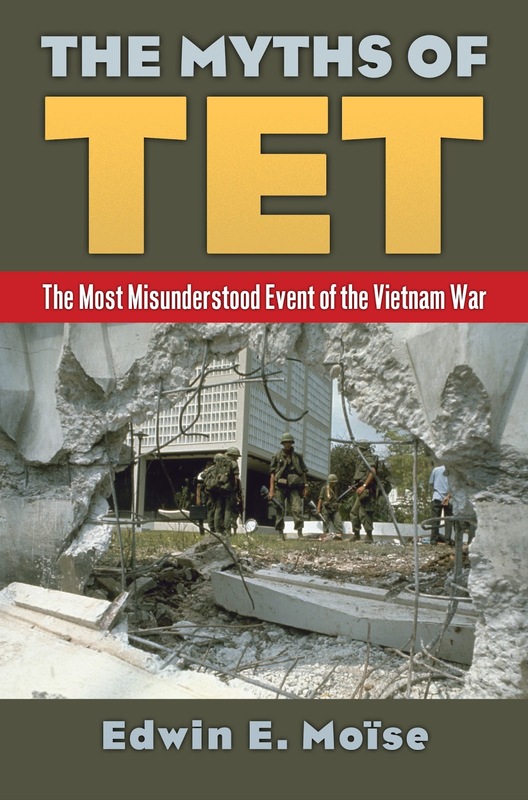 To judge the quality of the portions of my book devoted to this issue, the reader would need to see my evidence both that the claims of enemy weakness did not match the evidence actually available in 1967, and that those claims were strikingly disproved by the combat performance of enemy forces in 1968. None of that evidence appears on this page. 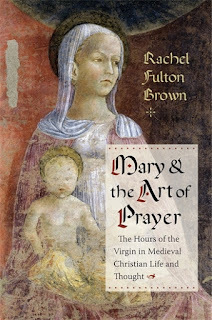 See online a more detailed description of the book. Jenna Vinson's "Embodying the Problem"
Jenna Vinson is an Assistant Professor of English at the University of Massachusetts-Lowell where she teaches courses in the Journalism and Professional Writing concentration and also serves as a Research Associate at the Center for Women & Work. I had not heard of Ford Madox Ford’s theory prior to the invitation to do the “page ninety-nine” test. While I was, admittedly, skeptical of the premise, I am pleasantly surprised by the results! I do think page 99 is representative of the focus of my new book Embodying the Problem. The dominant narrative of teenage pregnancy encourages many to see pregnancy as the climactic moment of downfall in a young woman’s life. Commonplaces about teenage pregnancy, including the statistics that render it an urgent social issue, invite people to see young mothers as embodied exigencies—problems to address or prevent—not people who deserve respect and rights. In Talking Back, hooks writes of a need for marginalized people to reclaim and recover themselves by contesting, with authority, the structures and ways of speaking which objectify them. Drawing on poststructuralist theory of language and subjectivity, I have shown that some young mothers use their subject position as “teenage mothers” to craft and publish new stories, assertively reauthoring their lives to counter popular ways of thinking about teenage pregnancy and motherhood. By providing analysis of young women’s first-person narratives about pregnancy and motherhood, I provide a new way of thinking about statements from young mothers—as statements constructed for a rhetorical purpose. Chapter 3 is an important turning point in the book. In the first two chapters I provide a feminist critique of what I call “the dominant narrative of teenage pregnancy” and I ask readers to consider the serious consequences of the way we talk about young mothers (consequences such as everyday harassment of women, pressure on young mothers to leave school, acceptance of sexist assumptions, and more). Beginning with chapter 3, I shift the focus to examine how young mothers resist this narrative. As I explain in the excerpt, I studied “edited collections and a website that resist the imperative to sensationalize young mother’s stories”—in other words, this is not analysis of MTV’s Teen Mom. These are published collections of personal stories shaped by women who have either experienced young motherhood or who aim to support young parents. 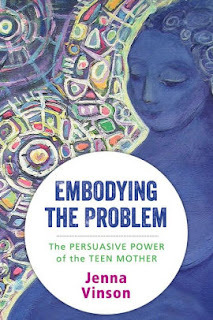 An exciting contribution of my book is that it brings attention to the writing of young pregnant and mothering women who have, of their own accord, decided to narrate aspects of their lived experience in order to creatively challenge the idea that they are problems. I will leave it at that so that readers can determine if page 99 tempts them to read more of the book! Scott S. Reese's "Imperial Muslims"
Scott S. Reese is Professor of Islamic History at Northern Arizona University and author of Renewers of the Age: Holy Men and Social Discourse in Colonial Benaadir and The Transmission of Learning in Islamic Africa. Sayyid Rustom was not the only Muslim bureaucrat to take a hand in what could be described as largely religious matters. If anything, his successor M. Yasin Khan involved himself even more deeply in the religious affairs of his fellow believers. A native of Meerut in India, Yasin Khan arrived in Aden in 1918 as a fresh Bombay law graduate to serve as a “Temporary Extraordinary Assistant Resident.” In 1919, he was named Acting Registrar, an appointment made permanent in 1920. He served for at least fifteen years in this position in addition to a number of secondments as Hajj officer in the mid-1920s. Registrar Khan did not involve himself in the matrimonial affairs of Aden’s Muslims that seemed to preoccupy his predecessor. As Mitra Sharafi has pointed out, however, for many, engagement with the law offered “special opportunities for social mobility,” and the opportunity to act as important intellectual and cultural brokers between one’s community and the state. Registrar Kahn was certainly an exemplar of this kind of ambitious culture brokering, and, as such, he took an even greater interest in the religious concerns of the Settlement’s Muslim community. The result was a long-standing and complex association with the new Qadi of Crater, Da’ud al-Battah. Over the course of more than a decade, their association in some ways mirrored the confrontational relationship of their predecessors but was in others far more mutually beneficial. Unlike Rustom Ali, Yasin Khan’s relations with the religious establishment of Aden began on a relatively promising note. Early in his tenure a group of notables led by the Shams al-‘Ulama’, Sayyid Abdullah Aydarus, with the support of the Aden Qadi, Da’ud al-Battah, petitioned the Resident for official recognition of a Wakf Committee to oversee the administration of local properties designated as “waqf” or “pious endowments,”, dedicated to the support of various mosques and shrines. In a letter to the Resident in February 1921, the notables stated that while there were numerous waqf properties in the Settlement, the agents charged with overseeing them frequently embezzled the rents. As a result, the mosques, whose upkeep was supposed to be paid for through them, as well as the properties themselves, were in a disgraceful state of repair. If steps were not taken, they wrote, the mosques of Aden would soon “become a danger to the public and the public health.” In an effort to remedy the situation, they wrote, “A number of leading citizens of Aden have met in [the] Shams al-‘Ulama’s house and appointed a committee of 6 persons ... with [the] Shams al-ulema [sic] as chairman to take delivery of these houses, to recover the rents [and] spend the same in the interests of the mosques and generally to look after (preserve) the mosques and their interests.” The British administration declined to formally recognize the Committee but acknowledged that the formation of such a group would undoubtedly improve the state of sacred sites within the Settlement. As such, they permitted Registrar Khan to act, in “his private capacity,” as an advisor to the group. In its first year of operation, the Wakf Committee encountered a number of problems in which Khan played a pivotal role, becoming an ardent partisan of the so-called traditional elite or, as we shall see, at least some of them. On being asked to carry out the “page 99” test, like many authors, my first reaction was a sense of unease. What if page 99 was simply intellectual filler of interest to no one other than myself and making no contribution to the central arguments of my book Imperial Muslims? With great relief, I turned to page ninety-nine to discover that, indeed, Ford Madox Ford was right. While I will leave it up to the reader to decide whether or not this is a work of “quality” page ninety-nine certainly highlights certain critical themes of the book as a whole. 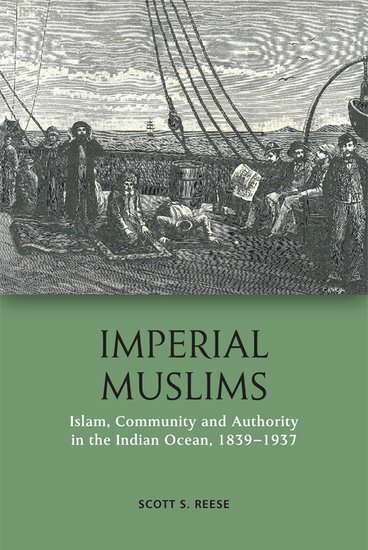 Imperial Muslims is a book about the creation of Muslim community within the confines of British rule. Set in Aden between its occupation in 1839 and the eve of the Second World, my work explores how individuals from widely varied backgrounds–hailing as they did from across the Indian Ocean–crafted a community utilizing the one commonality at their disposal: their faith. Specifically, I explore how Aden’s Muslims used common religious institutions, such as mosques, tombs, Islamic law and “pious endowments” to outline the boundaries of a community to which all could belong. The relationship between Yasin Khan, a Bombay trained lawyer, and Da’ud al-Battah, a local Islamic court judge, is an instructive example. While from different intellectual traditions–and indeed different ethnic backgrounds–the two found common cause in their quest to control the port’s “pious endowments”–rental properties whose proceeds served to support mosques and other sacred Muslim spaces within the Aden Settlement. Such control allowed them to assert authority over the boundaries of community determining who was and was not an upstanding Muslim of Aden. While such efforts were not uncontested, they demonstrate an agency of individual Muslims that was largely independent of the imperial regime. So, while empire may have brought Aden’s Muslims together, it was Islam that made them a community. Learn more about Imperial Muslims at the Edinburgh University Press website. Natalie Carnes's "Image and Presence"
These two statements—on either side of a section break on page 99—get at some of the central claims of Image and Presence. While image-lovers and image-breakers might vehemently oppose one another, they can end up looking strangely similar. In the chapter where page 99 falls, I am looking at Reformation iconoclasm in particular, when iconoclasm took a theatrical turn. In Basel, Switzerland, for example, a crowd hauled a crucifix into the square and mocked it with words that echo the crucifixion accounts of the gospels, “If you’re God, then save yourself, but if you’re man, then bleed.” In Hildesheim, Germany, a crowd taunted a statue of Christ with lines from Christ’s tormentors in the Passion plays. In England, iconoclasts stripped the altars—just as priest do at the end of the Maundy Thursday service, in preparation for the Good Friday service remembering Christ’s death. These image-breakers make and parody images in their efforts to reject them. And the way images emerge from breaking images expresses the theological claim of Christians: that the one who is called the Image of God discloses God most perfectly in the brokenness of the cross. With their acts of image-breaking, the Reformation iconoclasts want to say that God is not bound by human artifice. They proclaim God’s absence in these images in order to insist on God’s universal presence. But divine presence in absence is exactly what the image-lovers want to claim as well. The image gives more than it is. It names both the presence and absence of what it images. 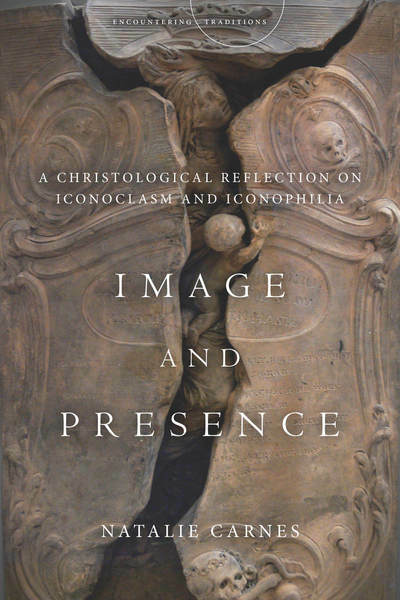 On page 99, Image and Presence is moving toward the claim that certain forms of iconoclasm can be internal to the practices of loving an image well. But the book moves in that direction with a warning: Unmoored from any image love, iconoclasm degenerates toward an insistence of divine absence in the world, while image-love, uninformed by an iconoclastic impulse to insist on the absence of the imaged, can harden into idolatry and even violence. The rest of the chapter explores how that violence can arise. 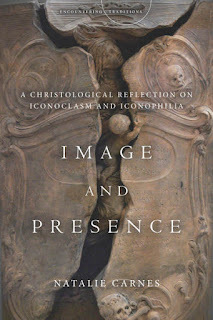 Learn more about Image and Presence at the Stanford University Press website. 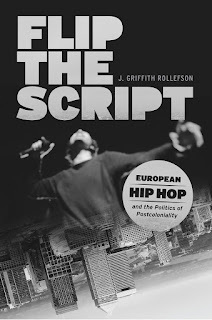 J. Griffith Rollefson's "Flip the Script"
The page 99 test holds up for my new book Flip the Script: European Hip Hop and the Politics of Postcoloniality. It gets to a central—and somewhat controversial—thesis of the book, namely, that in European hip hop we can hear that African American “double consciousness” is the particularized US form of a global postcolonial condition. 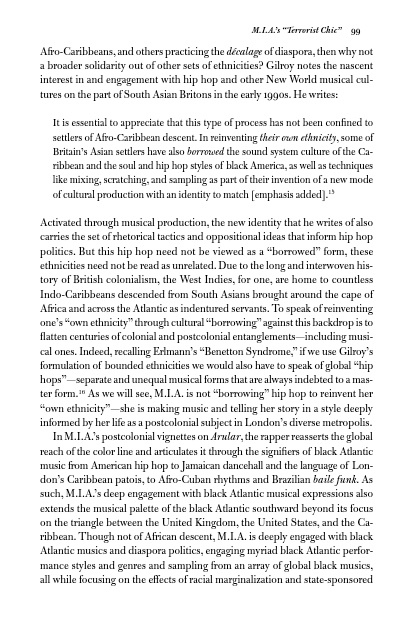 Instead of rehashing the played-out cultural appropriation vs. cultural imperialism debate, the argument flips the script on global hip hop studies, decentering US hip hop and suggesting that the black American experience encoded in hip hop resonates from global histories of colonial oppression. The argument might seem self-evident, but this is where it gets a bit tricky. A central premise of the book is that migrants from the former colonies and peripheries of Europe are attracted to hip hop’s forms of cultural critique. Obvious, right? But, importantly, a lot of these postcolonial people aren’t black. Sure, the book centers migrant voices ranging from Senegal, Ghana, and Cameroon to Jamaica and Grenada, but it places them side by side with voices from Algeria, Libya, Turkey, and farther afield to Cambodia, Chile, Pakistan, and… Sri Lanka. This is the point I’m making here on page 99 [inset, left; click to enlarge]—that scholars, critics, and hip hop fans alike have had trouble with the hip hop influenced global mash-ups of the South Asian Londoner, M.I.A., generating a deeply suspicious authenticity and appropriation discourse… that is further complicated by gender. 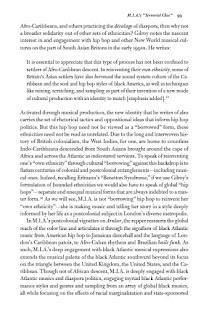 As I stress on this page from a section titled “London’s ‘Other Blacks,’” M.I.A. is not “borrowing” hip hop culture to reinvent her “own” ethnicity. I love Paul Gilroy—he’s an inspiration to me and the major touchstone in my work—and I fully understand the power asymmetries and histories of cultural theft that permeate the history of Afrodiasporic musics. This is not an “all lives matter” argument. The point is that M.I.A. grew up in diverse communities in London’s immigrant “ends.” The music of her diverse, international, and polycultural community resonated with her. She made that music work for her (instead of sticking to her “own,” what?, traditional Sri Lankan music?). And while her music might make us uncomfortable, that’s precisely the point: it’s transgressive of ethnic, gender, and political orthodoxies. As I put it later in the chapter, “we can hear in this music the very thing we are afraid we might—the sound of the authentically inauthentic.” This is the sound of postcoloniality. Learn more about Flip the Script at the University of Chicago Press website, and check out the book’s companion website, which has audio, video, chapter summaries, more excerpts, other resources, and information on buying the book. Paul Kix is a deputy editor at ESPN the Magazine. His work has appeared in the New Yorker, GQ, New York, Men’s Journal, and the Wall Street Journal, among others. The cold forced La Rochefoucauld more than he liked from the woods into a rural society where every glance, every smile, carried possible malevolence. Who would help him? Who would betray him? The questions were infinite and without answer, and so he spent what time he could in the barn, trusting only himself. But seclusion invited contemplation, and that was no better than strolling through Quarré-les-Tombes in a worker's costume. Alone, fighters dealt not only with the paranoia of Am I next? but with the guilt of Why have I been spared? The Resistance leader Henri Frenay put it best: "I felt overcome with fatigue. Crushed, oh, I was utterly crushed!...One by one faces of all those dear comrades rose up to haunt me...I felt ashamed to be free..."
It seemed it would be December forever. One night in the barn, fast asleep on a bed of hay, something jostled La Rochefoucauld awake. He blinked and saw a half circle of uniformed Milice men and the overcoats and felt hats of SD officers. For a moment, no one moved. Robert tried to hide the fear already warming his cheeks. The Nazis looked at him, curious. Then the blows fell. After a stretch, "They tied me up like a sausage," Robert said, and then began searching the barn. They seemed to know what they were looking for, and in a moment they found the guns. "I had nothing to do with that," La Rochefoucauld said. "I was sleeping here because I was tired." 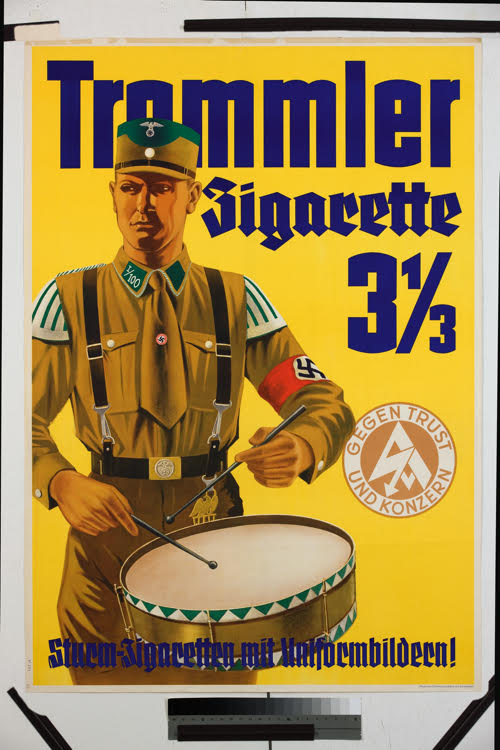 The Nazis didn't buy it. They put him in the back of a vehicle idling outside and headed out. His mind raced: How did they know where to find the arms? Who had given him up? Someone in the village who'd tracked him? Another résistant? But soon those thoughts gave way to darker ones: Where were they taking him? And what would they do to him when they got there? On page 99, the protagonist of the book, Robert de La Rochefoucauld, deals with the repercussions of a series of successful sabotages against the machinations of the Nazis' war. 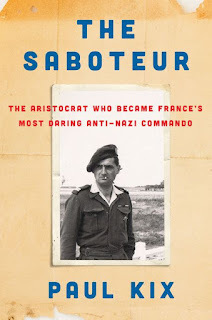 Occupied France in the winter of 1943 was a paranoid and even frightening place, where résistants who'd escaped arrest silently awaited it. Joan Ramon Resina's "The Ghost in the Constitution"
Joan Ramon Resina is Professor of Iberian and Latin American Cultures at Stanford University. His books include Barcelona's Vocation of Modernity: Rise and Decline of an Urban Image. This page, although from a chapter devoted to the etiology of the violence unleashed during the Spanish Civil War, references the historical background of the book’s subject, namely the social cost of Spain’s political amnesia during the years of the transition from the military dictatorship to the constitutional monarchy. A quarter of a century after the “pact of silence” and the approval of an amnesty law shielding perpetrators of human rights abuses from prosecution and even from exposure (through anti-defamation laws), concern about the “stolen past” emerged in the public media, leading to the enactment of an innocuous “law for the recovery of the historical memory.” The Ghost in the Constitution not only discusses the concept of historical memory, its appropriateness as a source of legislation, and the implications of remembering and denying for the social welfare of a democracy, but also delves into the conditions of forgiveness and reconciliation. 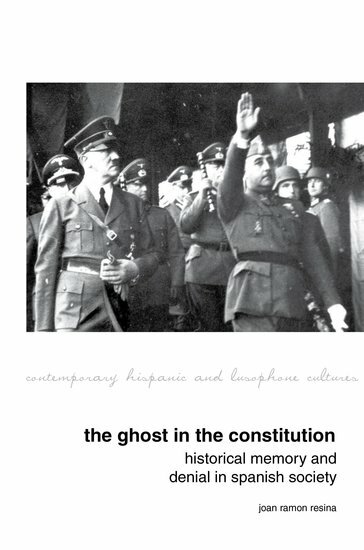 The book’s historical coverage includes the nationalist motivations of the coup d’état against the Republic, the bombing of Guernica, the assault on Catalonia’s cultural specificity and institutions, the experience of the concentration camps, exile, and the precarious nature of memory. 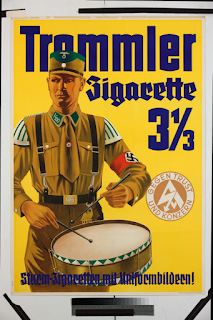 The maintenance of indirect forms of censorship and the reemergence of fascist behavior in post-Franco Spain through the perpetuation of “sociological Francoism,” that is, in the expression of nostalgia and tolerance of the values and methods of the dictatorship, is considered as the latency of archaic elements ready to be reactivated under favorable conditions. The book lays out the reasons for the exhaustion and ultimate failure of the Constitution of 1978 to heal a country that never achieved its alleged national cohesion except under duress. In light of Spain’s regression to undemocratic values and behavior, including negationism and its correlative, the unleashing of right wing violence against dissidents and minorities, the question of memory versus denial emerges as central to the exegesis of the present. Memory, in this sense, is the passkey that unlocks the riddle of Spanish society’s dearth of democratic conviction. Learn more about The Ghost in the Constitution at the publisher's website. The page is part of the chapter where I lay out how organized crime interests seized control of casinos in postwar Las Vegas. When Nevada became the first state in modern America to legalize most forms of gambling in 1931, official oversight was exceptionally weak. Nevada itself had no enforcement role and gambling licenses were handed out on the local level, a fatal flaw that would be exposed years later when mobsters like Bugsy Siegel received approval to run casinos in Las Vegas. One of these sordid characters was Benny Binion, a Texas native who pulled himself out of poverty by running an illegal numbers racket and high-stakes craps games in Dallas that attracted the likes of oil tycoons H.L. Hunt, Howard Hughes, and Clint Murchison Sr. Binion's cowboy charm belied a steely edge. Binion's rap sheet included two murder charges in the 1930s. A reform-minded administration forced Binion to pull up stakes and move to Las Vegas where he could ply his trade in peace. On Page 99, I tell the story of Binion's first trip to Las Vegas and his effort to secure a gambling license for his first casino there in 1947. Binion appeared before the Nevada Tax Commission, which then was responsible for handing out licenses and collecting fees. I read an oral history of one of the commissioners at the meeting and he reported that Binion bragged about his lawless exploits in Texas and confirmed that his history of violence was true. Binion's graphic accounts of how he killed the two men "had the Tax Commission in stitches" and the panel granted the license. 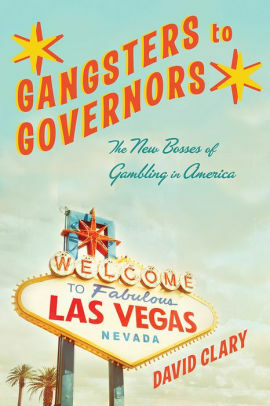 This page is representative of one of the themes of the book: How weak regulation led to organized crime's control of gambling in Las Vegas. Binion went on to become a fixture in Las Vegas and founded the World Series of Poker, which brought him and his casino vast amounts of publicity. When Binion died on Christmas Day 1989, a friend aptly summed up his wild life: "He was either the gentlest bad guy or the baddest good guy you'd ever seen." 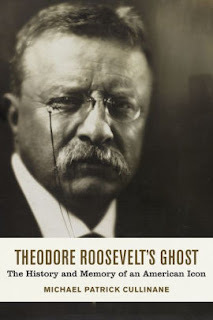 My Book, The Movie: Gangsters to Governors. G.R.F. 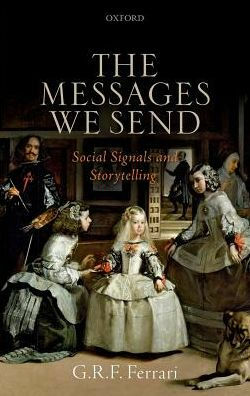 Ferrari's "The Messages We Send"
G.R.F. ("John") Ferrari hs been a professor at the Department of Classics at the University of California, Berkeley, for over twenty-five years. His principal interests are in philosophical aesthetics and in ancient Greek philosophy, especially Plato. If the idea behind the "Page 99" Test is that by that point an author who has lavished attention on a book's opening may be getting slapdash, then my page 99 would hold up reasonably well — at least, it reads much like the opening, even though by page 99 the book is more than half way done. As it happens, the page also contains one of the book's more adventurous claims. This tells you two things about the book: first, it is a concise and consistent read; second, it doesn't give everything away at once. And the adventurous claim? It's that the mimicry of actors is fundamental to all storytelling — not just to staged drama or to film. If this is correct, it gives an insight into what the point of telling stories cannot be — it can't be anything personal between storyteller and audience — and suggests a reason why we tell stories in the first place: to transcend the delicate, sometimes tiresome personal negotiations that are the backbone of our day-to-day sociality, while still maintaining human touch with each other. But the book has in fact spent the bulk of its first ninety-nine pages discussing exactly those delicate personal negotiations — how we dress for each other, flirt with each other, and in general manage the impressions that others get of us. Why, then, does it spend the bulk of its next ninety-nine pages discussing storytelling? Because its guiding ambition is to analyze the major types of social interaction that fall shy of full-out communication, assigning them to their appropriate position on an ascending communicative scale. And it wants to show that the scale applies to formal communicative arts like storytelling as readily as it does to our day-to-day social interactions. To move easily between established arts and everyday life is in fact among the book's distinctive qualities. earn more about The Messages We Send at the Oxford University Press website. Maria Belodubrovskaya's "Not According to Plan"
Maria Belodubrovskaya is Assistant Professor of Film in the Department of Communication Arts at the University of Wisconsin–Madison. The Test works well for my book: page 99 is central to my argument. The book explains why the regime of Joseph Stalin in Soviet Russia failed to install a true propaganda film industry, a filmmaking machine that produced Communist propaganda on order. The main reason why the Stalin regime failed was that the regime did not buttress its ambition for a mass propaganda cinema with the infrastructure, or the institutions and the workforce that this ambition required. 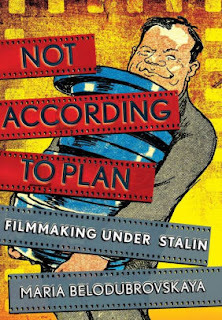 Under Stalin, the Soviet film industry was structured such that the creative talent, and specifically the film directors, continued to be the critical decision makers in the production process. Page 99 belongs to Chapter 3, which details the director-centered mode that was at the core of Soviet film production. 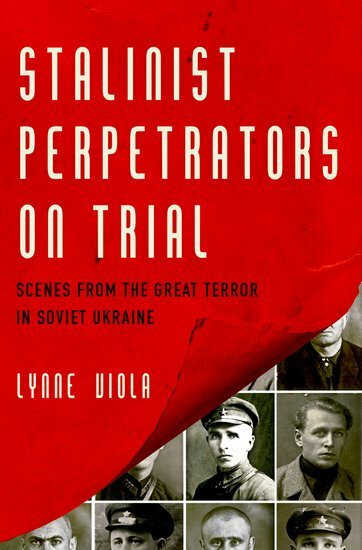 Page 99 addresses how in the 1930s the Soviet film administration tried and failed to introduce a powerful, Hollywood-style producer to counterbalance the authority of the film director. On this page, I quote Leontii Katsnel'son, the head of Lenfilm, a major film studio, who says that the attempt at forming production units headed by producers were unsuccessful at his studio. He states that the new producers were “unable to control the production life of all of their pictures and, as a result, work organization inside production units and even work discipline itself in many cases have deteriorated.” Ivan Kudrin of the Kiev Studio in Ukraine submitted a similar report. Why were these executives unable to implement the producer-based system? Because there was an extreme shortage of capable managers throughout the Soviet economy. For the reform to work, the Stalin regime had to train the new producers and initiate a better division of labor in film production. Absent a functioning institution of the producer and the division of labor, the regime had only a limited capacity at bringing film production under its control. Learn more about Not According to Plan at the Cornell University Press website. 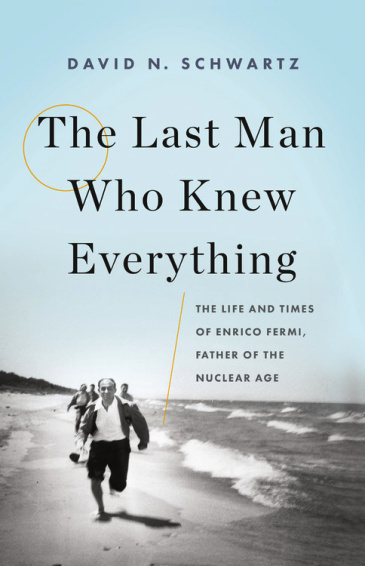 David N. Schwartz's "The Last Man Who Knew Everything"
David N. Schwartz holds a PhD in political science from MIT. He has worked at the State Department Bureau of Politico-Military Affairs, and at Goldman Sachs in a variety of roles in both London and New York. He lives in New York with his wife, Susan. His father, Melvin Schwartz, shared the Nobel Prize for Physics in 1988. 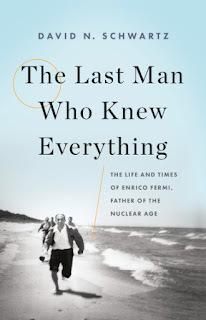 Page 99 of The Last Man Who Knew Everything provides background on one of Enrico Fermi's most important contributions, his theory of beta decay. In order to develop this theory, he needed first to understand Dirac's brilliant but extremely difficult theory of quantum electrodynamics and quantum field theory. Fermi, in typical fashion, decided that he needed to teach it to others in order to fully understand it himself. In the process he came up with an approach that was pedagogically superior to Dirac's - so much so that in later years Hans Bethe and Eugene Wigner both said that they learned quantum field theory from the paper Fermi wrote on the subject. Fermi went on to use quantum field theory to explain beta decay, a radioactive process in which neutrons in the atomic nucleus become protons (or vice versa). At the same time, electrons and neutrinos are created and emitted at high speeds. The interaction that resulted in beta decay was for many years called the Fermi interaction. Today it is more commonly called the weak interaction because it is so weak that it occurs only when the particles in the nucleus are extremely close to each other. His beta decay theory kicked off some fifty years of intensive research including the realization that the weak interaction was closely linked to the electromagnetic interaction; the discovery of three types of neutrinos; and the discovery of the Higgs boson. The theory of beta decay was classic Fermi: a radical simplification of a complex theoretical concept developed by teaching it to others, which he then proceeded to use to solve a seemingly unrelated problem. 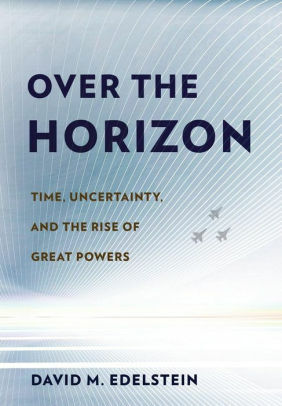 My hope is that by page 99 the reader realizes that this book is for the non-scientist - that the explanation of the science is intended for the reader with little or no background in physics. I have tried on every page to present the material as simply and clearly as possible without dumbing it down. Fermi had an absolute conviction that anyone could understand physics and this conviction inspired the way I presented the material myself. Visit David N. Schwartz's website. Alexander Thurston is visiting assistant professor of African studies at Georgetown University and the author of Salafism in Nigeria: Islam, Preaching, and Politics. 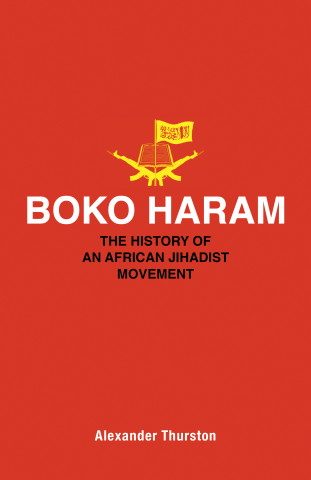 Boko Haram is one of the deadliest jihadist groups in the world. It is the subject of a mounting academic literature, but the reasons for the group’s emergence and its embrace of violence are still debated. Much literature has suggested that the group is simply the manifestation of large, impersonal forces: some analysts point to poverty and inequality in Nigeria, where the group originated, while others point to the influence of transnational jihadism. My book argues for a hyper-local view of the conflict, and for an understanding that the founder, Muhammad Yusuf, fully committed to violence only after he lost support both among the wider Muslim community and among politicians. In other words, it’s important to understand Yusuf’s personal relationships with other important figures in the religious and political scenes. Page 99 of my book deals with Yusuf’s rupture with Ja‘far Adam, who was at one time his mentor but who later became a bitter opponent. Both Yusuf and Adam belonged to what is called the “Salafi” trend, a loosely organized, global movement of Muslims who advocate strict, literal readings of the Qur’an and other sources. Yusuf and Adam disagreed, however, about topics such as Western-style education: whereas Yusuf made opposition to government schools one of his signature issues, Adam argued that Muslims could derive benefit even from secular schooling. The conflict between the two men became quite intense, with each trying to discredit the other. Adam and others painted Boko Haram as agents of outside interests, including the Shi‘a, Nigerian Christians, the West, and foreign jihadists. These accusations reinforced Boko Haram’s sense of exclusivism, making Yusuf and his core followers feel that they could no longer trust Salafis who defended Western-style education or government service. The sect was likely responsible for Adam’s 2007 assassination. That event – a crime that remains unsolved – became one of the key steps on Yusuf’s path to rebellion. A little more than two years later, isolated from most of his former mentors and allies, Yusuf and his followers launched a massive uprising in northeastern Nigeria. Over 1,000 people, including Yusuf, were left dead. But Boko Haram had started down the road to insurgency, and its violence still troubles Nigeria and neighboring countries today. Annegret Fauser's "Aaron Copland's Appalachian Spring"
Annegret Fauser is Cary C. Boshamer Distinguished Professor of Music at UNC Chapel Hill. Her research focuses on music of the nineteenth and twentieth centuries. Her books include Sounds of War: Music in the United States during World War II (2013), which was awarded both the Music in American Culture Award of the American Musicological Society and an ASCAP Deems Taylor Award. 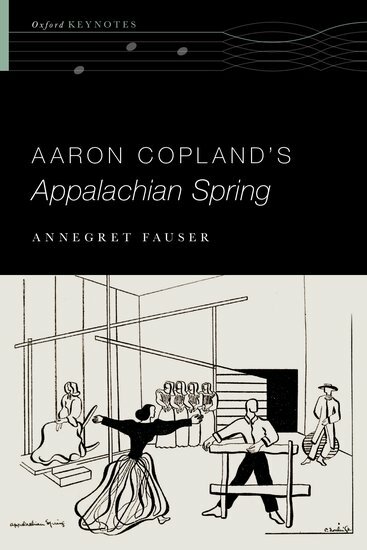 How musicians and critics abroad responded to Aaron Copland and his music for Appalachian Spring forms the thread that runs through page 99 of my book. Italians considered him “an American Grieg,” Chileans understood him as a regionalist, Germans worried about his lack of avant-garde sophistication, and the British saw him in a similar light as his local fellow travelers, Benjamin Britten and Michael Tippett. In the decades after World War II—when the high modernism of John Cage, Pierre Boulez, Luigi Nono, and Karlheinz Stockhausen dominated much of contemporary music—Copland’s Americana sounded out-of-date to the ears of many critics, but concert-goers and radio listeners, especially in the English-speaking world, reveled in the composer’s evocative music. Proving Ford Madox Ford’s point about the “page 99 test,” this particular page offers a surprisingly accurate snapshot of my book as a whole for two reasons. First, I am writing about a singular work, its genesis, and its history, tracing the vicissitudes of its existence in performance, recordings, and memory from its beginnings at the height of World War II to today. The often critical and even negative postwar reactions to Copland’s music for this particular work form part of this story. Later, however, musicians and scholars rediscovered the vernacular modernism of the score and began to appreciate its contribution to the soundscape of contemporary music as something more than just iconic Americana. Second, I consider this dance piece a collaborative work that intersected with the lives of many individuals, especially its three creators: the choreographer Martha Graham, the composer Aaron Copland, and the stage designer, Isamu Noguchi. Each of them was at a critical point in their careers when they joined forces, between 1942 and 1944, in crafting Appalachian Spring. The enmeshment of biography and art played a key role in shaping this work, particularly where Copland and Noguchi were concerned. 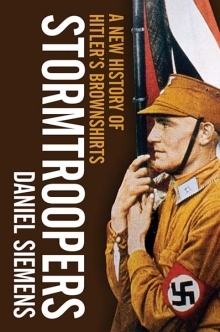 In another section of the book (p. 37–38), I discuss how self-consciously Copland erased any trace of sentimentality in his idiom, considering it a problematic form of expression, one he associated both with his Jewish heritage and with German Romanticism. At the end of p. 99, I draw attention to the issue that the German criticism of Copland’s neoclassical idiom in the 1950s carries disturbing echoes of the ban, after 1935, of Copland’s music in Germany because he was “a left-wing Jew” (p. 23), and thus doubly suspicious in the eyes of the Nazis. Indeed, tracing such undercurrents—where biography and music interconnect throughout the story of Appalachian Spring—forms an important part of this book, and p. 99 is, in this respect, a cliff-hanger. Learn more about Aaron Copland's "Appalachian Spring" at the Oxford University Press website. Gavin Ehringer's "Leaving The Wild"
Gavin Ehringer is an investigative reporter who has covered the companion animal beat for 25 years. He’s written thousands of articles and six previous books on animal-related subjects. I recall the heroism of a cowboy I knew who walked into a shelter in Texas. After he’d looked at all the dogs, the clerk asked him which one he’d like to adopt. “I’ll take the next one in line to die,” he said. Danger, a spunky Jack Russell terrier plucked from death row, rode shotgun with him for a decade. Sadly for the dogs, cats, kittens and puppies of that generation, there simply weren’t enough cowboys to go around. In the 1970s, a time when fewer than ten percent of Americans spayed or neutered their pet animals, public shelters euthanized as many as eleven million dogs a year - about one in every 10 dogs. Shelter managers began using the phrase “pet overpopulation” to describe the rivers of puppies, kittens, dogs and cats flowing through their doors in cardboard boxes and on leashes, only to exit through the backdoors in trash bags. 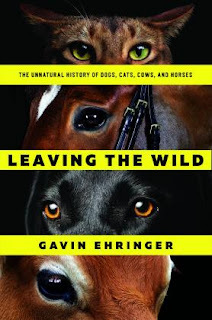 I wrote Leaving The Wild to take a critical look at the often unexamined act of animal breeding. Page 99 begins to call into question the prevailing myth of dog overpopulation. While certainly a problem until very recently, the book shows that today, demand and supply are in balance. In 2016, for the first time, fewer than 1 million dogs were euthanized in shelters while 2.6 million found new homes. Eliminate old and infirm dogs euthanized for humane reasons, and the vast majority killed come from one breed: pit bulls. If pit bull breeders took more responsibility, neutered or spayed their animal and stopped overproducing, we could put “dog pounds” out of business overnight. Dr. Emily Weiss, who writes an ASPCA blog for shelter professionals, says in the book that she loses sleep not over how many puppies are getting euthanized, but over where we’re going to get enough puppies to meet consumer demand. Whether it’s dogs, cats, cows, or horses, I turn a critical eye toward myths, beliefs and misinformation, using data, expert opinion and personal anecdotes to see which hold up and which fold up. Many answers I discovered through five years of research challenged and changed my own beliefs and prejudices about the plight of domestic creatures. I’m sure whichever animal interests you, you’ll be stunned, alarmed or pleasantly surprised by the dead-right facts and amusing tales found on every page of Leaving The Wild. 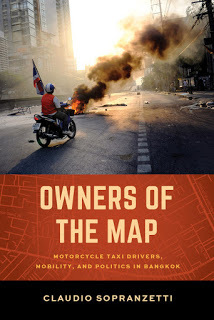 Claudio Sopranzetti's "Owners of the Map"
Claudio Sopranzetti is a postdoctoral fellow at All Souls College, a research associate at the Future of Cities Center, and teaches at the Institute of Social and Cultural Anthropology at Oxford University. Nam, lost in the TV starlets’ secret love story with her handsome white-skinned boyfriend, quickly wais (salutes) Adun before sinking her teeth into the piece of KFC he brought back for her, temporarily fulfilling her craving for a different life, one with urban settings, lifestyles, and tastes. Adun is not indifferent to her desires, which mirror the yearnings that drew him to Bangkok three decades before. She is, he tells me, increasingly voicing her intention to migrate to the city, an intention that has been—consciously or unconsciously—cultivated not just by exposure to a variety of media, but also by the commodities and stories that Adun carries with him to the village. All around Isan, sitting in poorly lit houses in the northeastern countryside, kids and older people listen with widened eyes and ears to the tales of the city that migrants bring back. These stories fuel imaginary trajectories and desires of urban life among rural dwellers, imaginations that oscillate between the celebration of urban life and its advantages, and the dismissal of urban experience, its perils, and struggles. In this sense, Adun acted for Nam as culture broker and mediator of life in the metropolis and its goods, from cellphones to KFC chicken. These circulations that Adun channeled, whether with presents, stories, or by buying her a TV, orient Nam’s future towards Bangkok, the endpoint of personal and collective linear trajectories of development. This, in turn, has made her only more conscious of her present distance from that future. 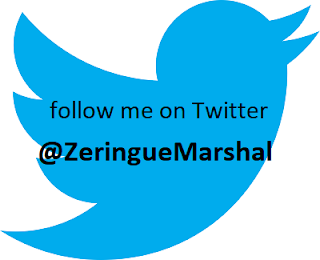 Through this kind of awareness, “the harshness of peasant life and the squalor of the farmyard . . . appear intolerable.... [T]hey seem even more so once we become aware of the magnificent, grandiose character of the works they have produced with their labor. Our awareness of this contradiction becomes more acute, and we find ourselves faced necessarily with a new imperative: the practical, effective transformation of things as they are.”15 Munching in front of the TV, Nam sees this imperative solidify and the awareness of her exclusion grow. When I received a request to do a blog entry for the 99 page test, it was late and night and I was in bed, about to go to sleep. I turned the light back on and rushed to the first copy of my new book, fresh off the press. I was too curious to see how it would pass the test. I do not want to add much. The judgement is left to you.